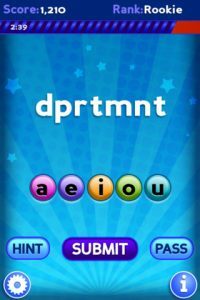 Word Cracker, developed by eoz games, offers a surprisingly challenging game that suitable for all ages. The iPhone game is simple: a word is presented, with vowels removed, and you have to put the vowels back in place. It’s the perfect iPhone game: simple to pick up, challenging enough to keep you intrigued, and totally addicting when you’re on the move. Think of it as Hanging with Friends, but without all the additional trappings of setting up an account, dealing with other people, or cumbersome add-ons. 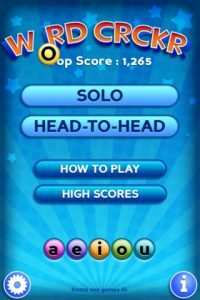 Word Cracker is a much cleaner, more focused gaming experience, and it puts the somewhat similar Zynga offering to shame. 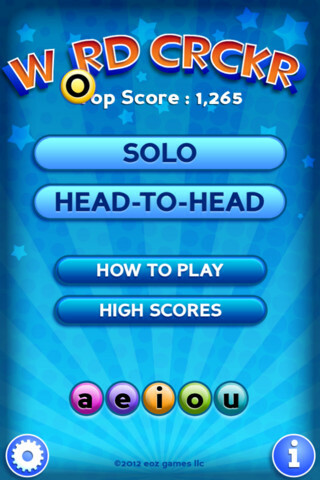 Before each round of play, you’ve got a whole host of options to choose from. 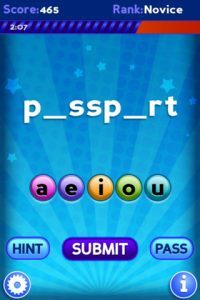 There are both solo and head-to-head gameplay options, as well as options to see the missing spaces where the vowels would go or just see the word as one long string of uninterrupted letters. There are three levels of difficulty: easy, hard, and random, which will really keep you on your toes. 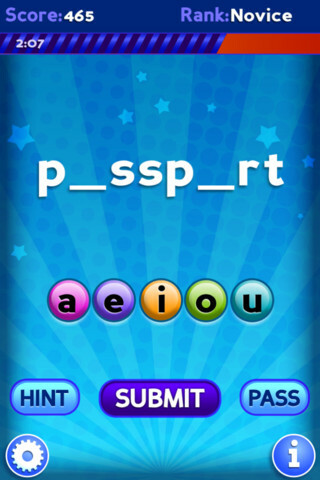 You earn more points for harder words and get bonus points for words with consecutive vowels or those that start or end with a vowel. Skip over a word that stumps you, however, and you’ll lose out on some major points. If you’re into time-limits, you can opt for games in durations of 1, 3, or 5 minutes. Alternatively, you can enjoy playing without pressure in an unlimited mode. 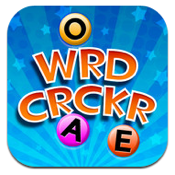 Word Cracker is compatible with iPhone, iPod touch, and iPad. Requires iOS 4.0 or later.